A report commissioned by French President Emmanuel Macron will recommend the full restitution by French museums of works in their collections which were taken "without consent" from former African colonies. The French historian Bénédicte Savoy and the Senegalese economist and writer Felwine Sarr will present their 108-page study to President Macron this Friday, 23 November. In it they argue that the complete transfer of property back to Africa and not the long-term loan of objects to African museums should be the general rule for works taken in the colonial period unless it can be proven that these objects were acquired “legitimately”. President Macron must now decide whether to implement the report’s radical proposals in the face of strong opposition expected from his Culture Ministry and the museums themselves. The report’s authors urge the president to cast aside “political prudence and museum anxiety” and lift the sacrosanct principle of the inalienability of national collections. 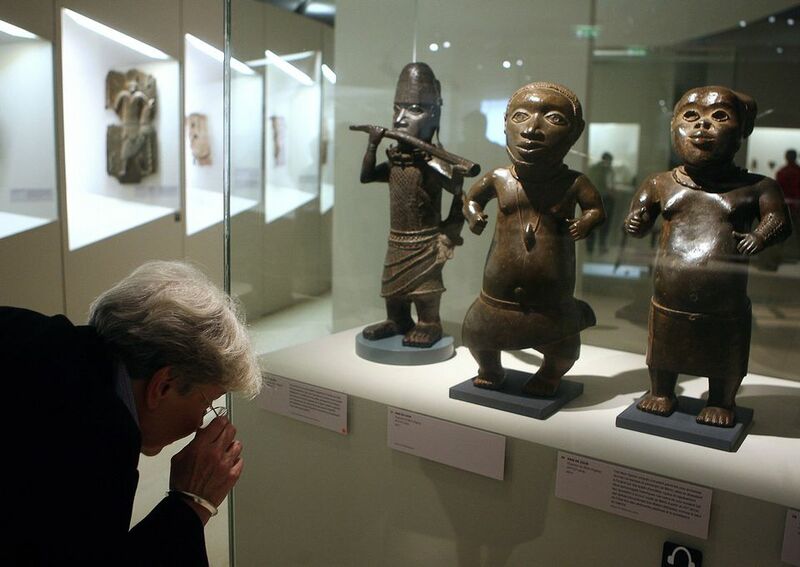 Bénédicte Savoy strongly denies that the new policy might lead, as museums fear, to the emptying of institutions such as the Musée du Quai Branly in Paris which houses 70,000 African objects. The report also aims to put strong pressure on museums throughout Europe to review their policies. In November 2017, during a tour of West Africa, President Macron pledged that the “permanent or temporary” return of African heritage to the continent would be a "priority" during his term in office. The following March he asked Savoy and Sarr to explore the issue and propose a set of concrete actions. In the short term, the duo are proposing that 24 items or groups of objects be returned immediately to Mali, Benin, Nigeria, Senegal, Ethiopia and Cameroon. Most are spoils of war, taken in Abomey, Ségou or Benin City, which were pillaged by French or British troops in the 1890s. But some also come from ethnographic missions, including the famous Griaule-Leiris expedition to Africa in 1931. This first phase of restitutions should be completed in 2019, say Savoy and Sarr. “It will be a symbolic and psychological step, in order to launch a continuing process,” they told The Art Newspaper. This would be followed by a second five-year stage, “undertaken on a State by State basis”, and leading to a more substantial series of restitutions. The authors suggest leaving the proceedings “open ended” afterwards. France would be required to deliver to each African country an inventory of all works originating from their territory under the rule of “colonial violence”. Through bilateral commissions, African governments would then select the items they wish to have returned. If France objects, it would have to prove that the pieces in question were legitimately acquired. France holds far fewer works pillaged during punitive military expeditions in Africa than Britain or Germany. But, as in the case of Nazi art looting, the report urges the return of works acquired under duress—from artefacts purchased by army officers and civil servants to those collected by missionaries or ethnographic missions—unless “there is evidence or information witnessing to the full consent” from the owners or guardians of ritual objects. About two-thirds of the 90,000 African pieces, acquired before 1960, and now in French museums would come under scrutiny. The report calls for a change of legislation to make it easier to remove African works from public collections. It also urges France to sign the Unidroit convention, a 1995 international treaty designed to enable restitutions from private collectors and dealers. Placing full responsibility on inter-governmental cooperation, the report offers a striking alternative vision to projects set up by various European museums like the Benin Dialogue Group led by the British Museum in London. Generally, these initiatives propose the long-term loan of objects to Africa. But Savoy and Sarr warn that such loans could be used as a pretext to refuse the permanent transfer of property. Their report suggests that “temporary restitutions” should be viewed only as a “transitory solution”, allowing sufficient time for the introduction of new legislation which would enable the “final return” of art and objects to Africa. 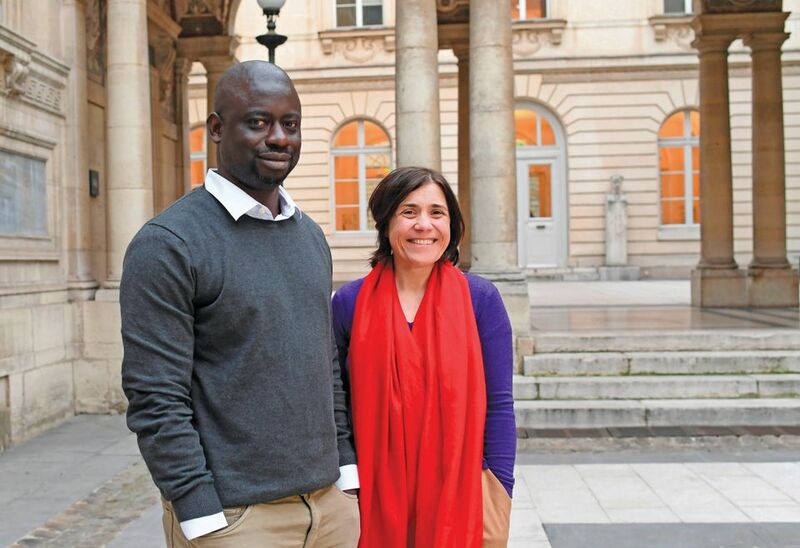 Over the past nine months Savoy and Sarr consulted a small circle of “critical friends”—legal experts, scholars and artists—before extending their talks to about 150 people in France and in Africa. They visited Benin, Senegal, Cameroon and Mali, meeting “with everyone from students to heads of State”, Savoy says. They also delved into the archives of French museums and the Ministry of Foreign Affairs to draft a survey of the 90,000 objects from former colonies held in the Musée du Quai Branly in Paris and elsewhere. When asked about cases where several States or museums might lay claim to the same items coming from ancient kingdoms, he said: “It will be up to the governments to solve the matter,” and suggested it would then be their responsibility to transfer the pieces to traditional chieftains or royal families, but also to universities, schools, art centres or even “communities for ritual use”. Generally, the report insists on a new vision, “resocialising objects of cultural heritage” that have been “creolised” while on display in European museums.